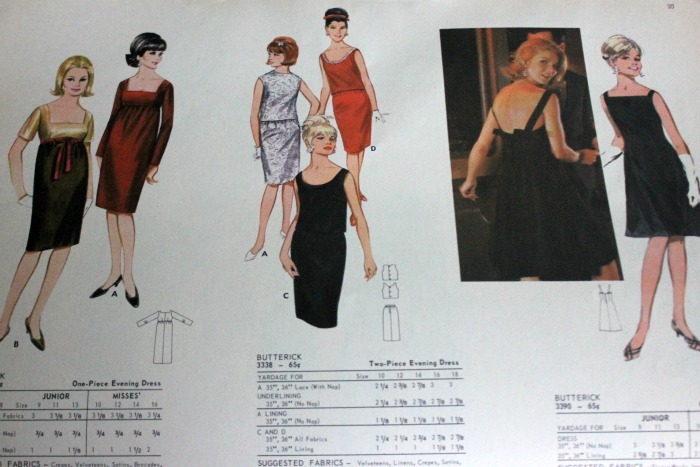 The other day I was at an estate sale and found a complete Butterick pattern catalog from Spring of 1965. 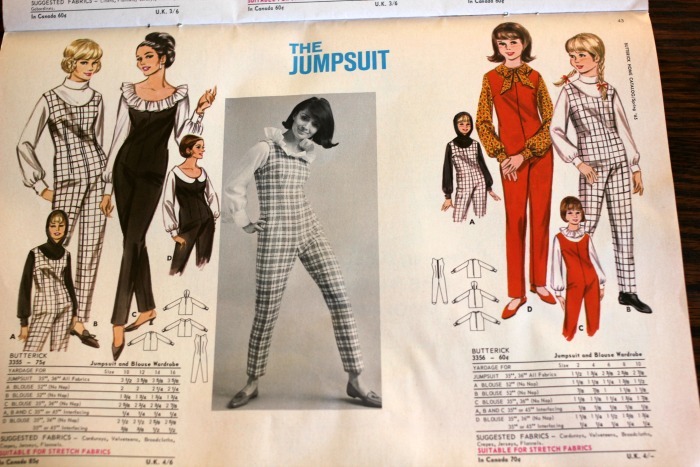 I love looking through old magazines to see what people were wearing back in the day and thought I would share some photos with y’all! 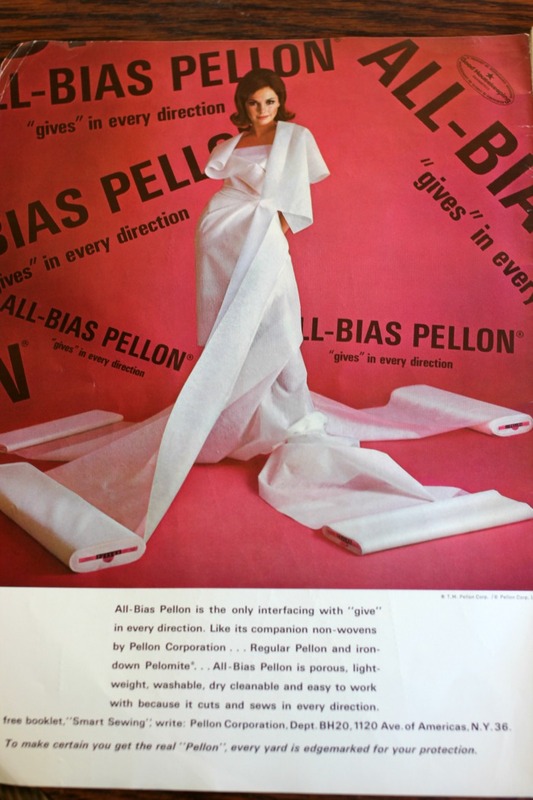 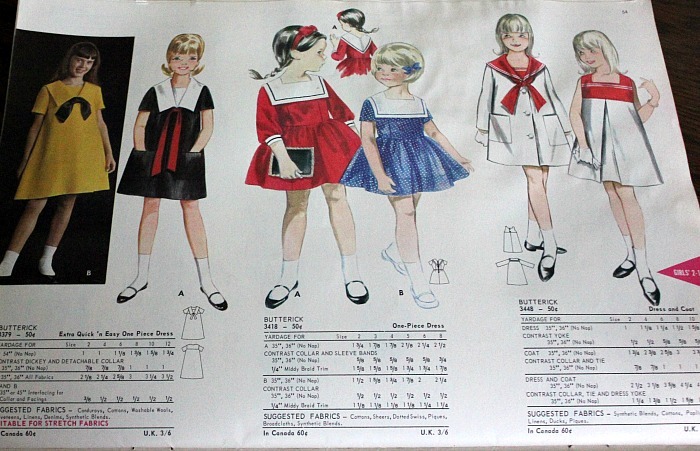 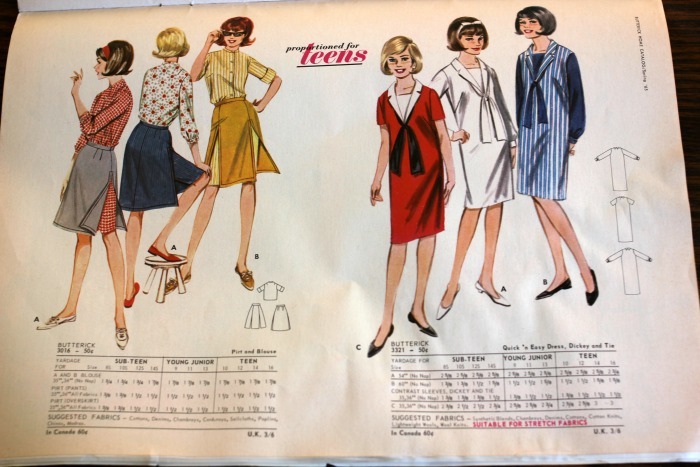 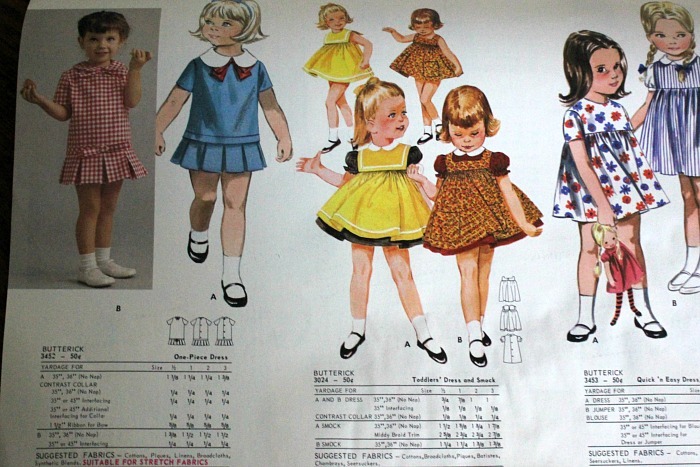 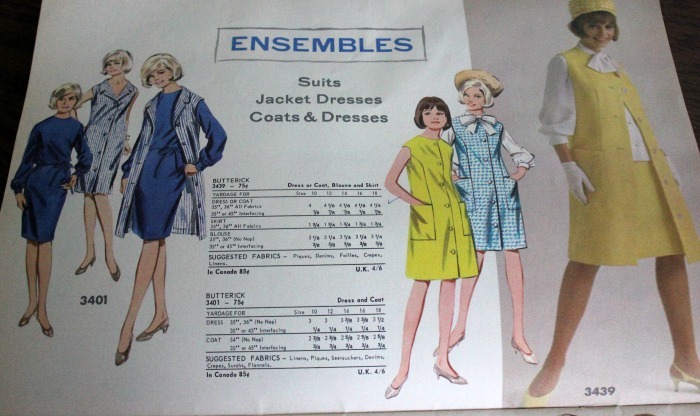 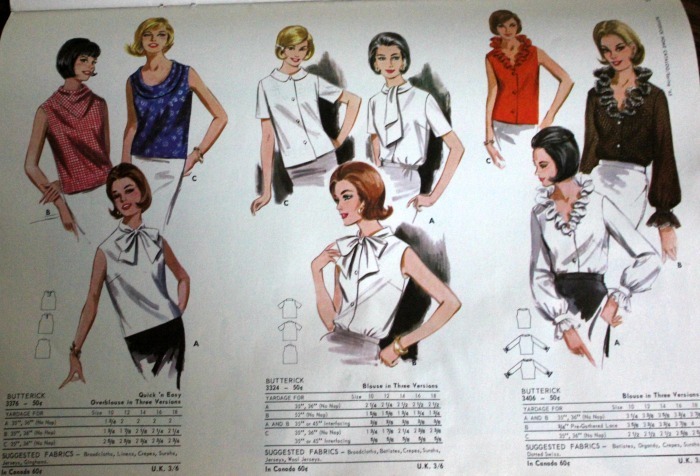 Join me on a trip through the Spring 1965 Butterick Home Catalog! 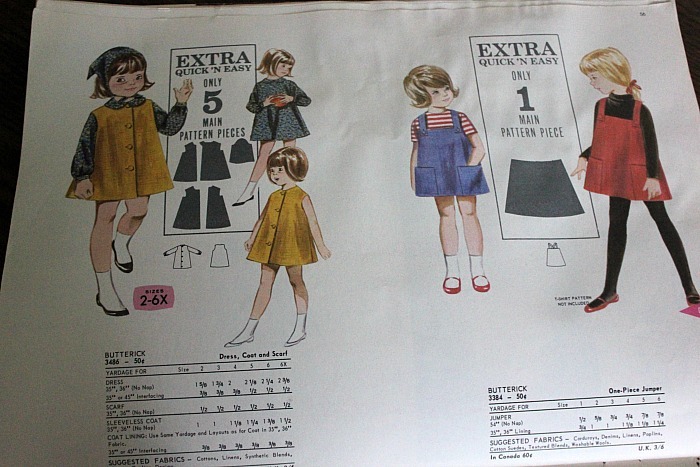 Find of the Week 1965 Monark bike 1890’s Walking Suit: Simplicity 2207 & Butterick 5970 Giveaway: Butterick 4790, The Walkaway Dress From 1952 Peek Inside Kids Pants. 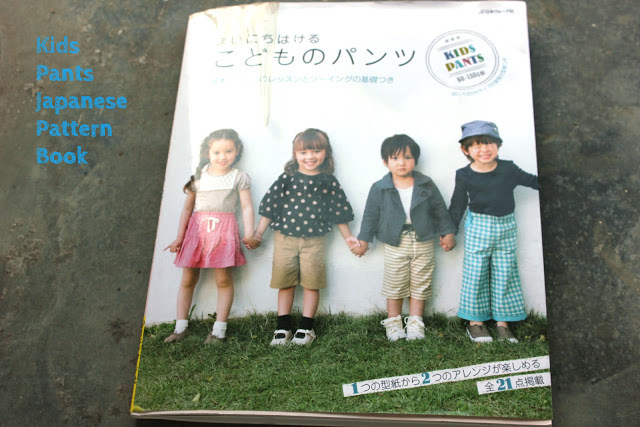 A Japanese Pattern Book. 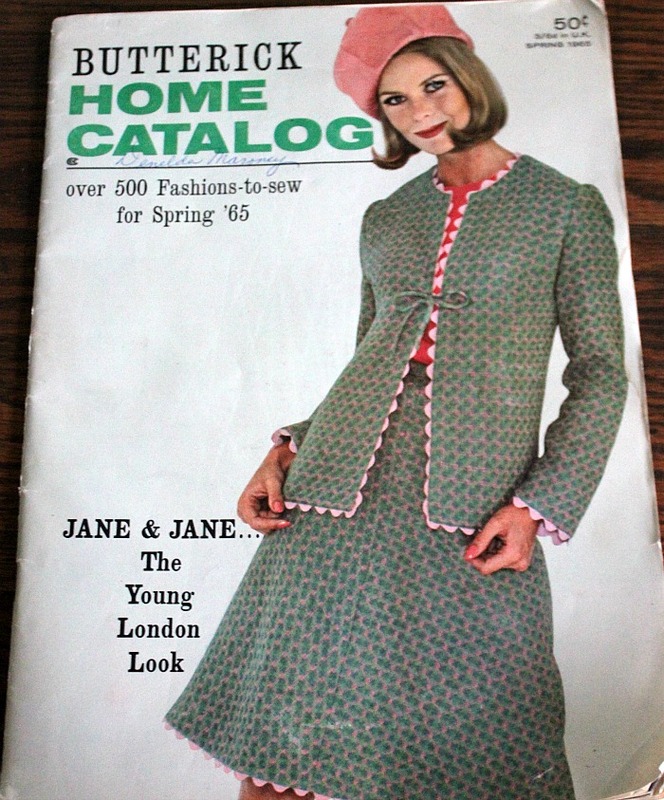 how fun to have a peek inside ~ thanks for sharing! 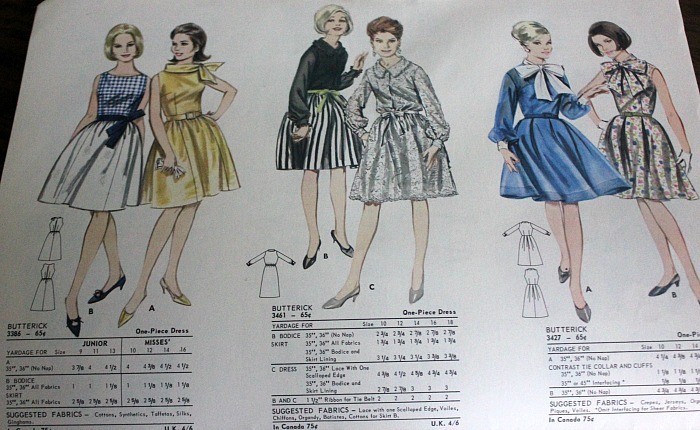 Thanks so much for sharing the catalog — fun designs to look at — I especially love the black dresses with the ruffle around the neck and the blue cowl top on the left…..
OMG the bias Pellon is the coolest!…I didn’t think something like that was available…or I haven’t seen any….Thanks for sharing! 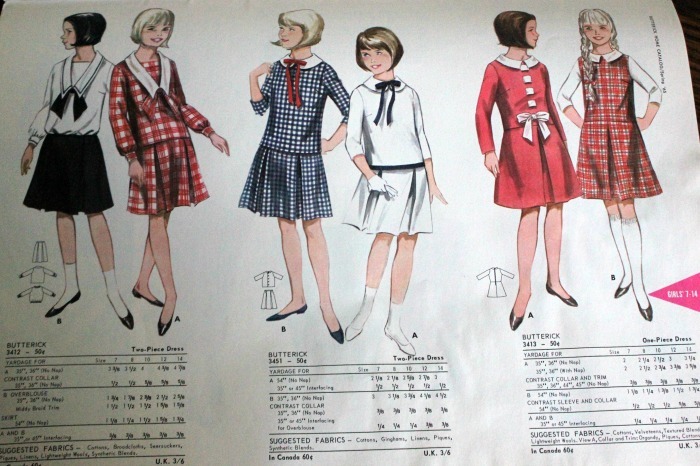 Oh the kids patterns – they are so sweet! 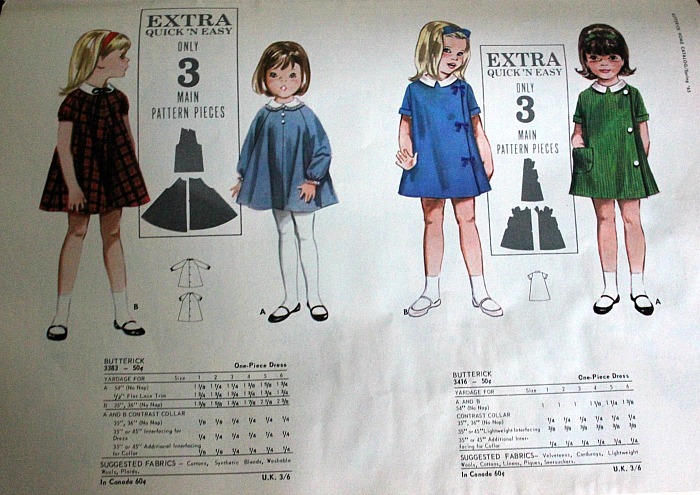 There are a lot of absolutely gorgeous pics for grown up girls too… Did you get any patterns at the sale too? 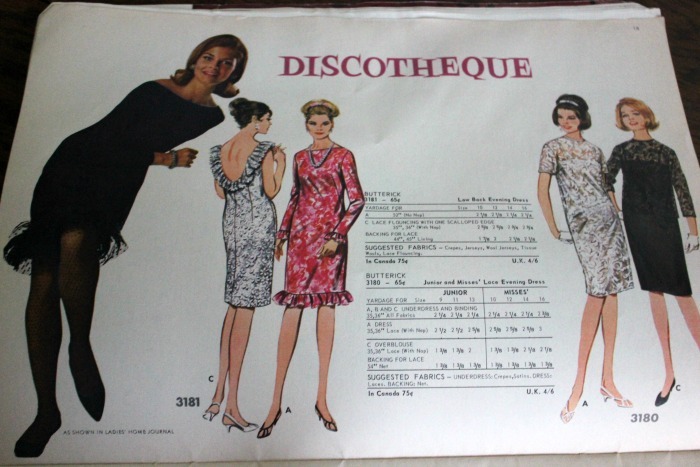 That’s a treasure! 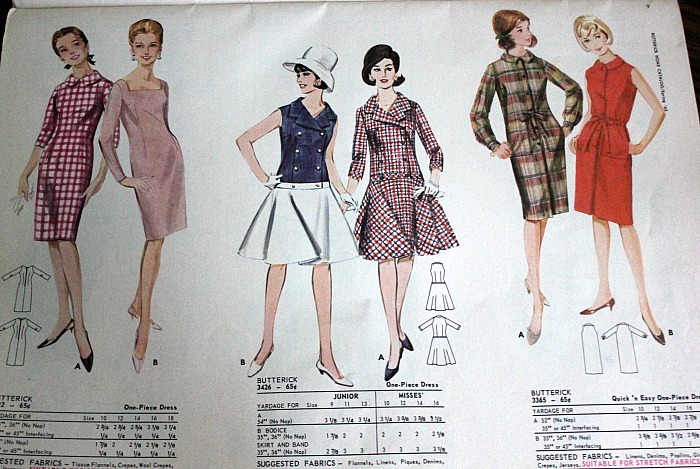 What I wouldn’t give to have a few of those patterns. 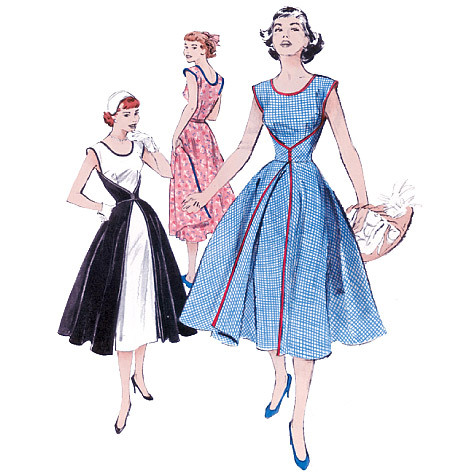 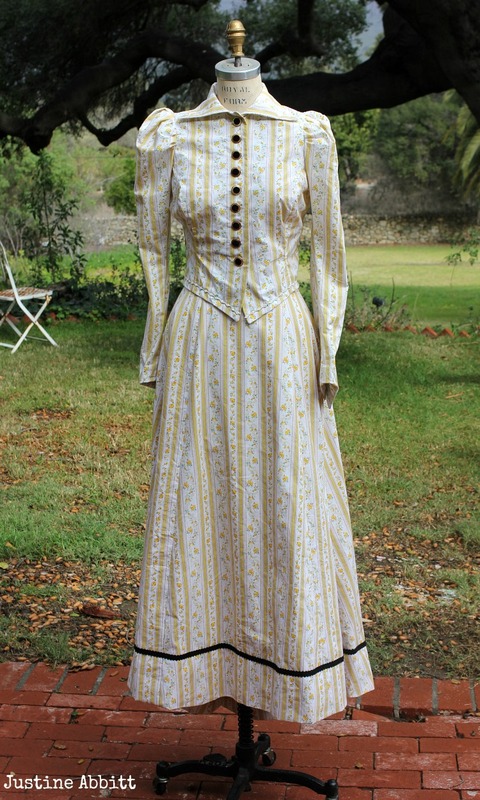 Born in 1964, I love to see what the ladies wore ‘back in the day’! 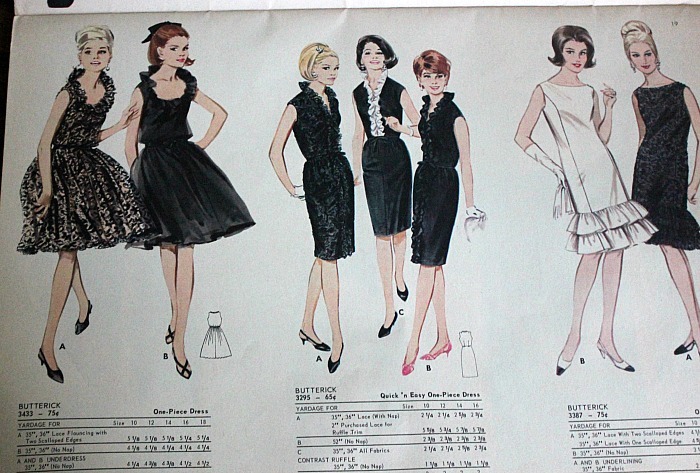 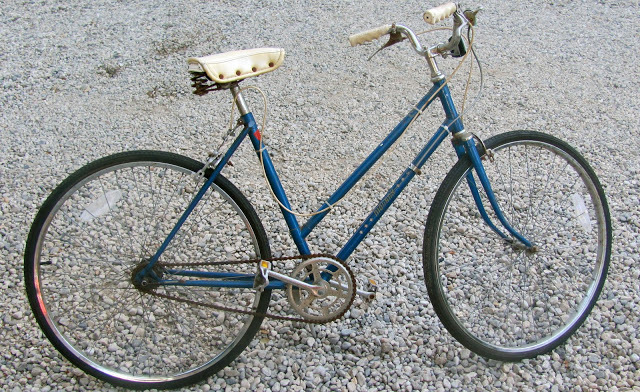 Classic design are lovely and last long… thanks so sharing this treasure!